I was saddened to see that someone recently questioned your love for Jesus because of the way you’re voting in the upcoming election. That ought not be so. I hereby affirm you as my brother or sister in Christ by virtue of your faith in the death, burial, and resurrection of Jesus Christ, not by virtue of the ballot you will cast in any election. 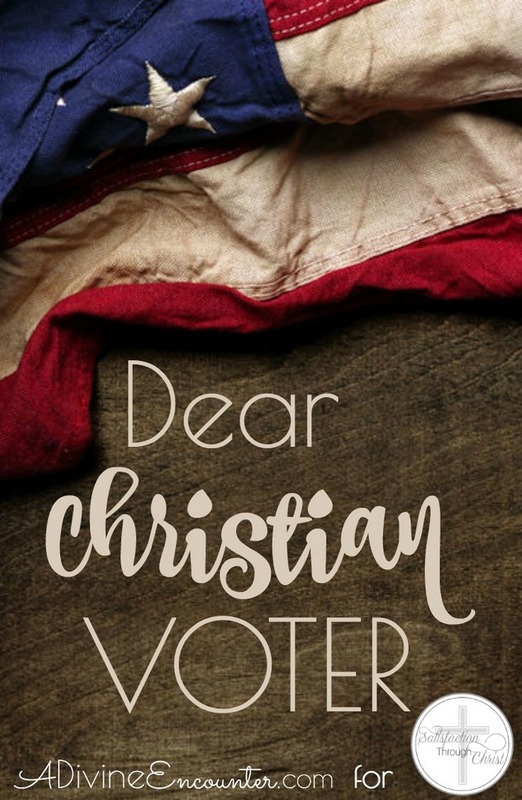 I trust that you are in a daily, living, breathing relationship with Christ that impacts your life in real-life ways, including the way you vote, and it is not up to me to dictate to you what that looks like. You and I have the very Spirit of God within us, so I already know that you and I share the same values, because we value what He does. But I acknowledge that sometimes our values must be prioritized, especially in disastrous election cycles. Priorities require choices, and these choices are founded on many facets of life, including but not limited to our experiences; our education; our family history; our understanding of and application of Scripture; and our obedience to the Holy Spirit’s personal leading in our lives. So while we may dialogue and engage and even influence one another, at the end of the day, you’re still my Family. And l do not fault you for choosing differently than me, because while you and I have some common ground, I am not on your journey and you are not on mine. I trust that you are voting in good faith, as I am, even if those votes are not cast for the same candidate. I am confident that whether the election is won by your candidate or mine or another candidate altogether, God will work all things together for the good of His people – you and me and all of His Church – and for the glory of His wonderful Name. May that Name be magnified by you and me in all that we do and say, and most of all in our love for each other! I could not have said it any better! Thank you. Very well said! Thank you for sharing.